Many traditional Vedic numerologists just add numbers up until they achieve a single-digit result and work with the characteristics only of that number. A home address of 2733 would thus be 2+7+3+3 or 15, then 1+5, or 6. The Vedic numerologist would then consult on the characteristics of the number 6 with the client. However, AstroNumerology takes all the planetary energies present in an address into account. Using the same home address, we see that 2733 has the Moon, followed by Neptune, followed by two Jupiter’s. These planets move about each other in a Venus vibration. All five of these planets (remember, two Jupiter’s!) must be considered. 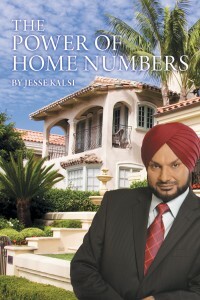 Jesse Kalsi is a world-renowned numerologist. He specializes in residential, business, and sports numerology and provides valuable insight on the power of numbers and how they affect our lives. In his book, The Power of Home Numbers, he combines his Eastern upbringing with his Western experience to bring awareness and understanding of this phenomenon. Spiritually, we know that there is no such thing as time. And yet, here we are, living this existence, and we have these constraints to deal with. There is only so much time, so many hours in a day, so many vacation days in a year. So, how do we spend out time? And more importantly, how do we spend our precious leisure time? If we take Thoreau's advice, we spend that time in spiritual pursuits, and then we understand how wonderful leisure can really be.